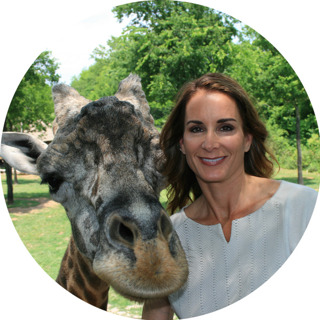 The opportunity to fulfill Nashville Zoo’s mission of inspiring a culture of understanding and discovery of our natural world through conservation, innovation and leadership has never been greater. Over 230,000 people were impacted by the Zoo's onsite programs, field trips and community outreach in 2015. The Zoo's education programs offer unique opportunities to connect people of all ages with animals from different parts of the world and educate them about their native habitats. Nashville Zoo is also actively involved in research, habitat protection, breeding programs and education initiatives around the globe as well as in its own backyard. 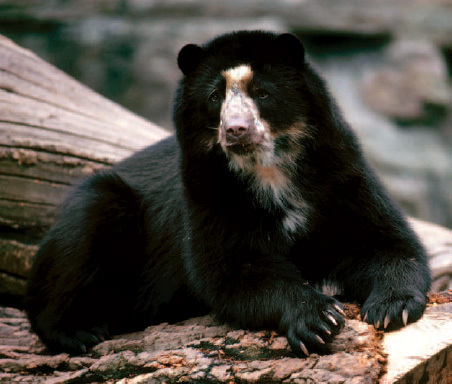 The Zoo has been instrumental in the conservation and propagation of clouded leopards, giant anteaters, Eastern hellbenders and Puerto Rican crested toads. Already recognized for creating world-class habitats for many species and providing quality care for a valued animal collection, Nashville Zoo’s goal is to continue connecting Middle Tennesseans with the natural world, encouraging education, environmental literacy, conservation and advocacy. For more information about this campaign, please email growwild@nashvillezoo.org. It has been such a joy to watch our Nashville Zoo develop into the community treasure that we all love. Every visitor to the Zoo leaves with lasting memories and a deeper connection to the natural world. Personally, this is why my family and I have supported the Zoo over these many years, and we’ve seen it grow to become a leading resource for education, conservation, and recreation in Middle Tennessee. Now, with the support of the city, Nashville Zoo has embarked on a comprehensive campaign to Grow Wild. The plan to develop roughly 100 acres on the Grassmere property calls for creating unique and innovative habitats, expanding educational facilities, and ensuring the highest quality of care for our valued animal collection. Your support is vital to the success of this fundraising initiative. We invite you to Grow Wild with us and help shape the future of Nashville Zoo and our great city for generations to come. The Zoo's entrance received a new face lift and reopened to the public on April 9, 2016. Because of tremendous growth and record-breaking attendance in recent years, the Zoo’s Entry Village was a top priority for renovation in order to enhance the guest experience. It was designed for the day when Nashville Zoo welcomes more than a million visitors each year, which is right around the corner. Take a closer look at Entry Village. The new spider monkey exhibit, graciously funded by Dottie Frist, opened on Thursday, April 6, 2017. 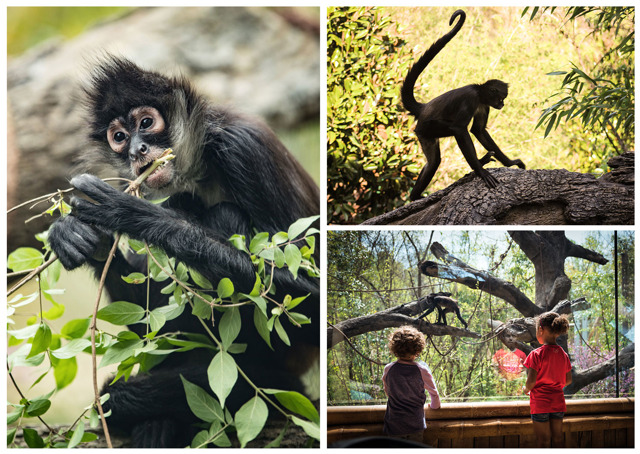 The addition of Mexican spider monkeys marks the first monkey species to be housed at Nashville Zoo in more than four years. To enter the new exhibit, Zoo guests cross an elevated wooden bridge ending in a treetop view of these lively, inquisitive Mexican spider monkeys swinging among the trees. The covered viewing building features materials from around the world including Peruvian textiles and decorative masks hand-selected by Zoo President, Rick Schwartz. Bamboo imported from Vietnam and Colombia and environmentally sustainable materials like reclaimed pallet wood and synthetic thatch complement the exhibit’s Central American theme. The former African Elephant Savanna is now home to four female captive-born rhinos from South Africa. The four captive-born white rhinos came from a reserve in South Africa and made their exhibit debut in July 2017. This marks the first time for any rhino species to be housed at Nashville Zoo. 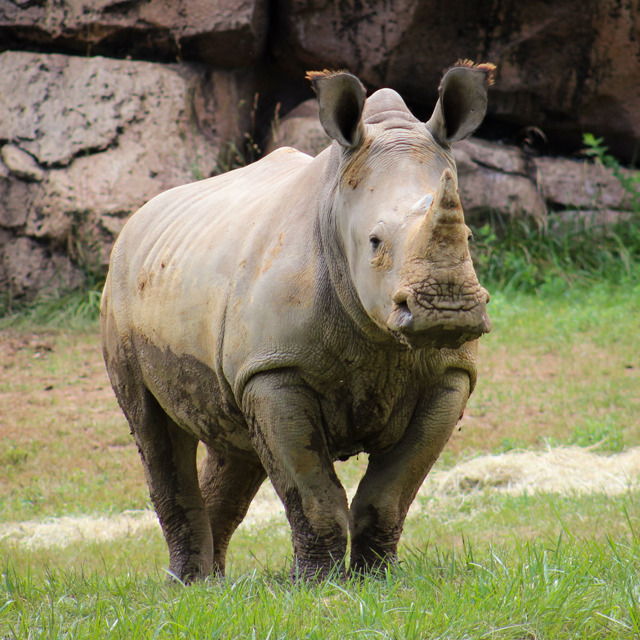 The outdoor exhibit yard needed several alterations to insure a comfortable environment for the incoming rhino herd, including modifying the existing pool. Guests will now be able to get a view of the rhinos from under a shaded pavilion overlooking the wading pool. The former elephant barn also needed to be remodeled to accommodate the rhinos, including replacing the floors and additional work to the outdoor holding area attached to the barn. Already involved with conservation of this species in the wild, Nashville Zoo is excited to develop a breeding program for this highly endangered omnivore. As part of a multiple species exhibit, this Peruvian biome includes pudus (the world’s smallest deer), guinea pigs and cotton-top tamarins. The exhibit features a Peruvian style lodge containing educational, interpretative and interactive displays. Originally built in 1989 as a black bear exhibit and then home to Bengal tigers until 2015, the Zoo’s tiger exhibit was in great need of renovation. The new exhibit will be home to four-year-old female Sumatran tigers. Improvements to the exhibit enlarged the tigers’ habitat and night quarters, as well as added a new indoor viewing area for guests. The viewing building features reinforced glass panels for the closest possible view of these majestic cats, an interactive training window where guests can see keepers working with the tigers and interactive displays to engage and educate visitors about tiger conservation. In addition, the outdoor bridge viewing area has been renovated to visually mirror the Asian architectural components featured on the new viewing building. Hand-painted and hand-carved woodwork cover this bridge, as well as the exterior of the viewing building. 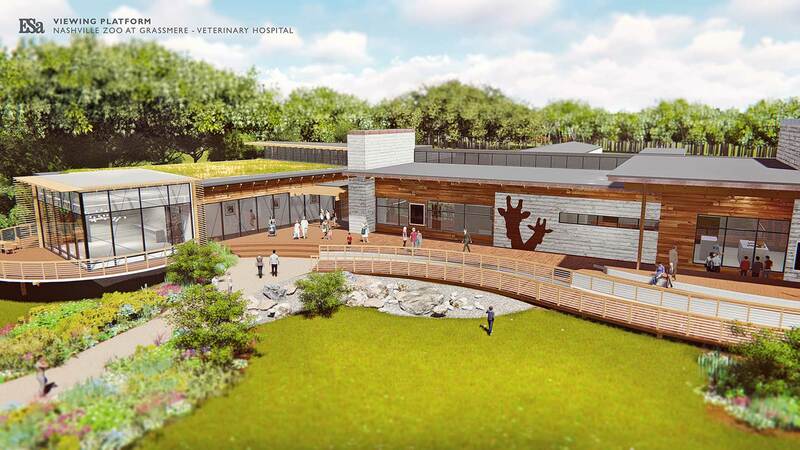 The 23,677-square-foot HCA Healthcare Veterinary Center, designed to exceed AZA accreditation guidelines for zoo healthcare facilities, replaces a 30-year-old facility originally designed for a much smaller wildlife park housing indigenous species versus the exotic animals that now call the Zoo home. This 40-acre exhibit will showcase lions, giraffe, zebra, hippos, rhinos, cheetah and a variety of other African species. Guests will enjoy watching the animals interact at the large watering hole, and participating in a unique giraffe feeding experience from the platform inside the African Lodge. This 5,770-square-foot facility will include classrooms accommodating up to 196 people, storage space, a meeting room, an improved staff break room and public restrooms. A dedicated education center with sufficient classroom and volunteer space will provide an interactive, hands-on environment that inspires learning in guests of all ages. Nashville Zoo will bring the forest of Africa to Nashville with the completion of the African experience. This leafy habitat will be home to okapi, mandrill baboons, bongo antelope, several guenon (primates), red river hogs and a family of gorillas. The gorilla exhibit will be the centerpiece of the African Forest and will be one of the most progressive and natural gorilla exhibits in the country.